I haven’t been much of a classics-reader, due to laziness mostly. I get caught up in the fancy-dancy wording, can’t be bothered to go and look up what the words mean because by the time I get to the dictionary, I have to go back and read the whole paragraph, yadda yadda yadda…generally I just chuck the book. Don’t get me wrong, I’ve always been a reader, just books with words that I already know. But I’ve been plagued lately. Plagued with the suspicion that I’m missing out – that the world is so much bigger and fuller than what I think it is. I've sensed a growing desire to expand my knowledge of good literature that I've not experienced before. And what better way to discover that big-ness and fullness of the world than through the classic medium of the ages: books. My desire is to branch out into books that aren't easily read in a few days (I've read entire novels in hours actually...), books that stretch me and take time to taste, chew and digest - good literature (as Bishop Sheen puts it). Now I realize this will require something from me, a concerted effort. Never before have I had to put forth this kind of effort for literature. I majored in biology in university, and the few English courses I took didn’t require that much reading. Most of it was 21st century garbage writers which didn’t take much effort to read at all. But summer is here and I’m ready! Ready to go forward with "Project Improvement of my mind by extensive reading". (To quote Mr. Darcy in Pride and Prejudice, one of the only unabridged classics I’ve read front to back) After all, shouldn't every woman strive continually to improve herself, adding to the breadth and depth of her character with a working knowledge of literature? So. No more Coles notes or readers digest versions of the classics for this gal. Say hello to Cultured Sarah who will instantly recognize the obscure references to Oscar Wilde and George Eliot…in about 10 years! I figure I’ll set a goal for myself, something attainable like 6 classics a year. That’s 1 every two months. If I read more than that, great. If I read just 6, well then I’m 6 classics up from where I was before. Who’s with me? Who will aid me in my journey, read with me and spur me on? Reflect on the depth of passages…perhaps start a little online book club of sorts? Ok then. I know you’re scared and that’s ok. However, I will report back to tempt you with the wondrous tales of each book. 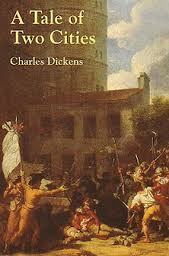 My first book will be Charles Dickens, A Tale of Two Cities only because my mom raves and rants about how good this book is. Wish me luck. Charles…be easy on me…please. 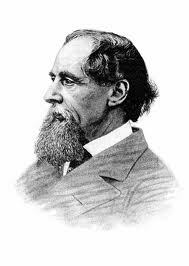 Sounds like you are enjoying Dickens, and it is interesting to hear your summaries (cause I have not read most of his books). Suggestions for your next book, however, any book by George MacDonald. He wrote "The Princess and the Goblins," which is a children's book. 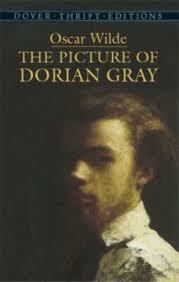 However, he also wrote quite a few adult books that are well written and enjoyable. Along with Tolkin, he is one of my favourite authors. Another great author is Owen Francis Dudley, an English author who writes novels with apologetics themes surrounding the problems of human happiness. Just thought that I would pass those along:). I love reading great literature and enjoy chatting with those who also do. P.S. We will have to get together soon. Why thank you Frances and Christine! I will have to look into Dudley, Tolkien and MacDonald. 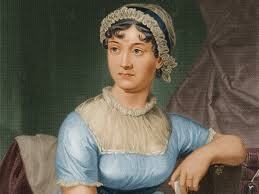 I don't enjoy Dickens (except for "The Christmas Carol") but I love Austen, my favorite being "Sense and Sensibility." I would ditto the Tolkien recommendation, encourage G. K. Chesterton, James Hogg's "The Confessions of a Justified Sinner" (caveat: the 'editor's note' is NOT an editor's note but is actually the first part of the book, if you skip it the book won't make sense), Stevenson's "The Strange Case of Dr. Jekyll and Mr. Hyde," Shelley's "Frankenstein" (not so much because I liked it inasmuch as the framing is good), Stoker's "Dracula," Daphne DuMaurier's "Rebecca," Bronte's "Wuthering Heights" (I know people who love this book--I think it's one of the few books that can rival "Romeo and Juliet" for sheer stupidity in the characters; but it is a Classic and the writing is well done), Caroll's "Alice in Wonderland" & "Alice Through the Looking Glass," Boethius' "The Consolation of Philosophy," and Augustine's "Confessions." (Not all those are technically "Classics," e.g. Tolkien, but that probably gives you a good start--and anything by C. S. Lewis is good, too). Excellent AG, Thank you for the recommendations! Lots to choose from.